RIO DE JANEIRO – Neymar has tackled critics who derided his play-acting at the World Cup, admitting he "overreacts" and blaming his "brat" like behaviour on his inner child. The Brazilian superstar was widely lambasted in Russia for his theatrical reactions to challenges which often left the world's most expensive footballer wincing and rolling on the ground. "Boot studs on the shins, kick in the spine, stomp on the foot, you may think I overreact, and sometimes I do, but for real? I suffer on the pitch, but you have no idea what I go through outside of it," he said in comments on a television commercial for a razor blade. The Paris Saint-Germain forward, speaking in Portuguese with English subtitles, continued "You may all think I've fallen too much, but the reality is I did not fall, I crumbled." "And that hurts more than anyone stepping on your post op ankle," he added, alluding to the surgery on the injury he suffered back in February. "When I act like a brat, it isn't because I'm a spoiled child, but because I still haven't learned to deal with my frustrations. "There's still a boy inside of me, sometimes it dazzles the world. Other times it pisses every one off. "And my fight is to keep this boy alive, but inside of me, not inside the field." He adds: "You can keep throwing rocks at me, or you can throw your rocks away and help me get up. Because when I do get up the whole of Brazil gets up with me." 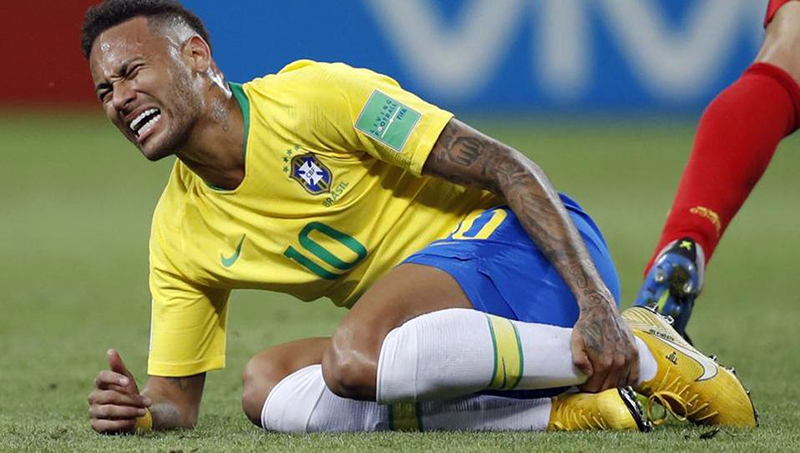 And last week, in an interview with AFP, Neymar disclosed he "didn't want to see a ball, or to see any more football played" after Brazil's premature exit.